Destined to live and die in Charity Plantation, just like his beloved mother before him, Arthur’s fate is altered by a tragedy. A plantation owner’s son drowned in a creek on his friend’s watch, and Arthur has to witness Packer pay for the unforgivable sin of letting a white man’s son die. 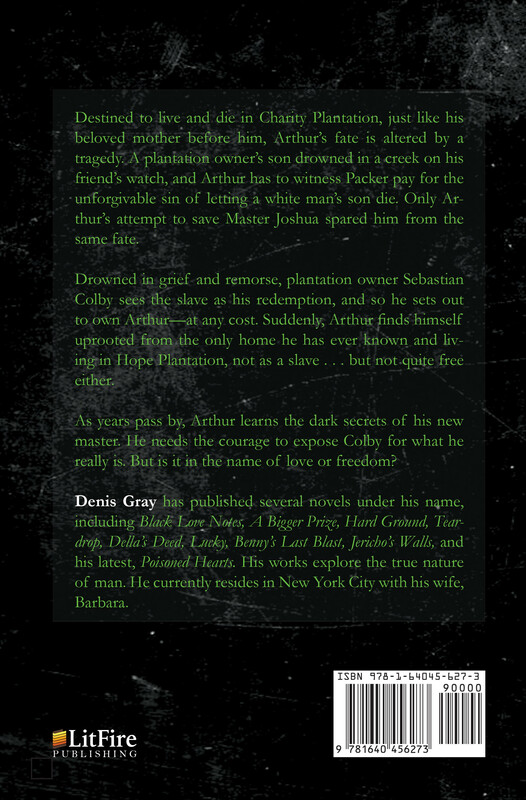 Only Arthur’s attempt to save Master Joshua spared him from the same fate. Drowned in grief and remorse, plantation owner Sebastian Colby sees the slave as his redemption, and so he sets out to own Arthur—at any cost. 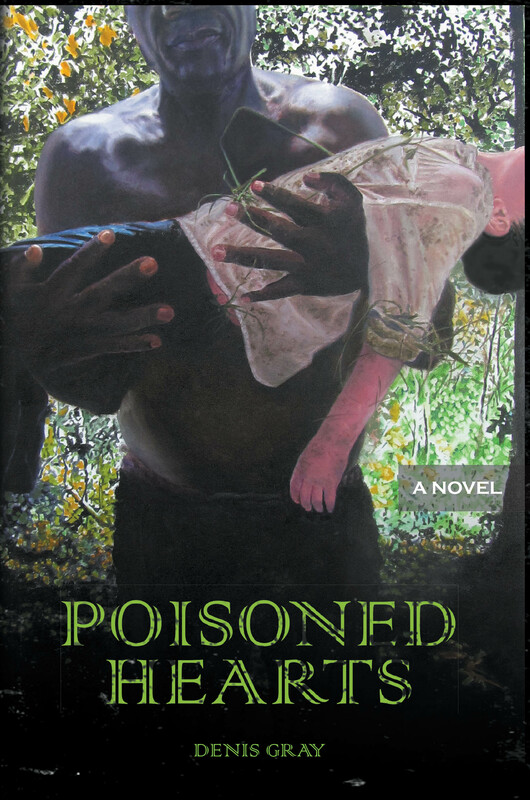 Suddenly, Arthur finds himself uprooted from the only home he has ever known and living in Hope Plantation, not as a slave . . . but not quite free either. As years pass by, Arthur learns the dark secrets of his new master. He needs the courage to expose Colby for what he really is. But is it in the name of love or freedom? Denis Gray has published several novels under his name, including Black Love Notes, A Bigger Prize, Hard Ground, Teardrop, Della’s Deed, Lucky, Benny’s Last Blast, Jericho’s Walls, and his latest, Poisoned Hearts. His works explore the true nature of man. He currently resides in New York City with his wife, Barbara.